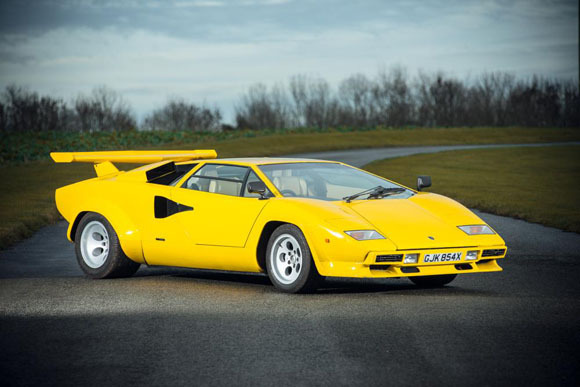 An incredibly rare 1981 Lamborghini Countach 400S is one of the very special consignments of Silverstone Auctions’ classic car sale at Race Retro, taking place at Stoneleigh Park, Warwickshire, on the 26th-28th February. This original, right-hand drive example, estimated at between £200,000 and £250,000, is one of just seven produced and has covered just 61,155 km (38,221 miles). According to the MoTs, it has only covered 2,880km (1,800 miles) in the ownership of the current vendor, having been used lightly for the last few years. ‘GJK 854X’ was first registered in September 1982. Its first UK owner was Tim Dutton Wooley (of Dutton Cars fame) and sported the optional wing. The car was then sold in April 1987 to the next owner who had the wing removed. 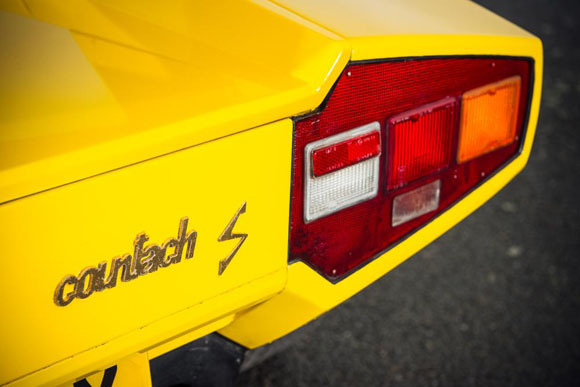 He was obviously an enthusiast and this car features heavily in Chris Bennett's book "Lamborghini Countach" published in 1993. A later owner re-instated the wing. 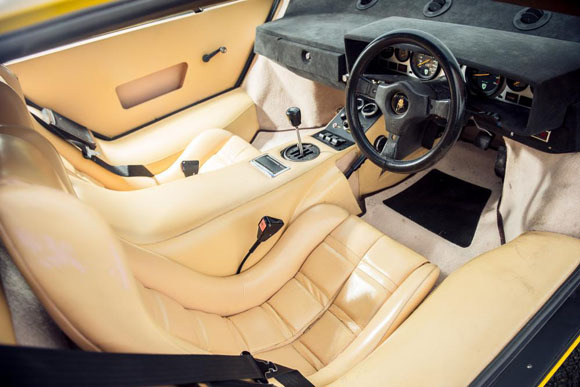 The car is presented in Lamborghini Pearl Yellow and the classic interior is in good condition, finished in Oatmeal Leather with a Black Suede dash top. It's accompanied by a comprehensive history file with nearly all of the MoTs present and there are dozens of invoices relating to work carried out over the years. The car is accompanied by its V5C, an MoT until June 2016, drivers handbook, the aforementioned books by Chris Bennett and David Hodges, a road test by Roberto Giordanelli and acres of service and maintenance history.